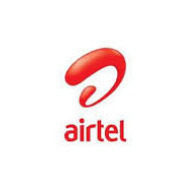 Airtel 5GB for free which can be used on PC, Android and other devices, its real and it involves IMEI tweaking . The IMEI tweaking actually has two methods and I will be showing you. • Input this IMEI on the space provided on IMEI analyser to analyse if the IMEI is valid, add any random 4 number after 239, then tap on "analyse"
• You will receive a message saying "Your phone is not provisionable"
• Ignore the message, then send JOIN to141 and you a Successful message will be sent to you. Note!Message : Dear customer, you can only recieve the Smart SIM Offer once. Interpretation: This means that the IMEI you used has already been used by another person to collect the 5G. You will have to try another IMEI number by adding a different random 4 numbers to the IMEI and analyse again. • Send JOIN to 141and wait for a successful message of 5GB. Enjoy your Airtel 5GB for a whole month! Thanks Nairabit.... Finally got mine after countless trial. I almost gave up. Keep up the good work. Please can it be accumulated? Enjoy your 5GB. about your question, it cannot be accumulated.